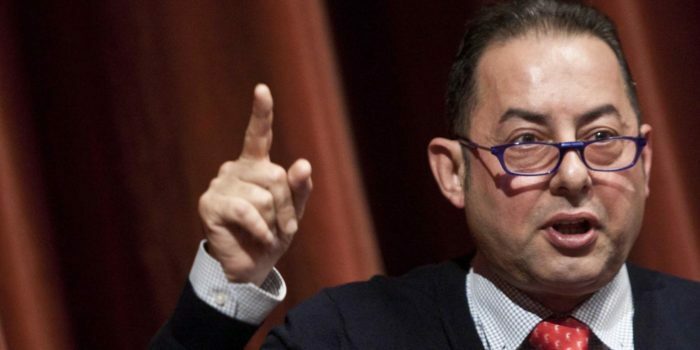 “Athens is for me the symbol of Democracy and I am proud of my declaration as an honorary citizen of this city next Friday,” stated Gianni Pittella, the president of the Socialists and Democrats in the European Parliament on Tuesday at a press conference in Strasbourg. “Everybody knows that I was one of Greece’s warmer supporters during the huge challenge it faced in the European Union,” he added. Referring to the discussions that have intensified lately on a two or more speed Europe, Pitella said: “A two-speed Europe should not be our first choice, and I say it here and everywhere, in the Parliament, in Athens, in Rome and to the Italian President. We should follow, all together, common policies not only in the sector of safety and defense but in the social, economic and tax security, in the battle against terrorism, the building of the bank union and then see how we will proceed. We should initially start by organizing the policies we wish to succeed in,” explained Pittella. “Let’s set five major political sectors on the table and let’s ask the 27 member-states which of them wish to proceed. I would be very happy if no one is excluded. If there are some that do not wish to follow, it would be their own mistake and their responsibility but they will not hinder the others from proceeding. The Socialists’ position is very clear on this matter,” concluded Pittella.